There are four dangerous fiscal fables afloat. The first is that taxes can be cut to raise revenues and lower the deficit. The second is that spending can be raised to raise revenues and lower the deficit. The third is that the deficit can be financed by printing money with no real consequences. And the fourth, and most dangerous, is that the deficit's accumulated value -- the official debt -- is a meaningful measure of our country's or any country's true indebtedness. Paul Krugman, who has been pleading for more deficit spending on a continuous basis in his New York Times column, is hawking all four fables. Pity our children if our policymakers continue to take his views seriously. Let's start with the worst fable, namely that the debt Krugman is considering is, in fact, the right measure of our government's obligations. The measure Krugman is using is the official debt in the hands of the public, which is $11 trillion. But the true debt, known to economists as the fiscal gap, which includes all the off-the-book obligations of the government, is 20 times larger! These off-the-book obligations include the requirement, under current law, to pay today's 40 million seniors, on average, $30,000 per year in today's dollars in Social Security, Medicare, and Medicaid benefits through the rest of their days. They include the requirement, under current law, to pay today's 78 million baby boomers, when fully retired, $40,000 per head, in today's dollars, in Social Security, Medicare, and Medicaid benefits. They include the requirement to pay for all future military expenditures, all future welfare benefits, all future Supreme Court Justices salaries, and the list goes on. Like interest and principal payments on official government debt, these other payments are coming in the future. But of all the expenditures the government is promising explicitly or implicitly to make in the future, only those called "interest and principal payments" are being valued in the present and included in Krugman's measure of government debt. Perhaps Krugman should sit down with a 75-year-old and ask her whether she thinks the government has an obligation to continue sending her a Social Security check every month or a commitment, under Medicare and Medicaid, to help cover her future healthcare bills. Perhaps he should sit down with an admiral and ask whether the government has an obligation to build new submarines and maintain our fleet over time. Perhaps he should ask the head of the Department of Transportation whether there is a requirement to repair federal highways and build new ones. Krugman would quickly learn that these debts -- these obligations to spend -- are no less real and, indeed, a lot more real than the official debt. The official debt, after all, can be wiped out in real terms by printing money and raising prices. Not the case for our transfer payments and direct government purchases. They are either formally or informally indexed for inflation. As for the politics of who will get paid in a crunch, it's not the official debt holders. Just ask Greek bond holders how they fared in recent years compared to Greek retirees collecting state pensions. 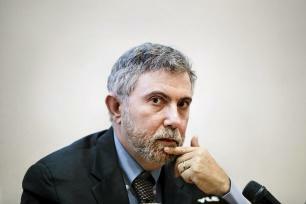 Paul Krugman is a Nobel Prize winner in economics. He should know the debt is not well defined -- that what's put on the books and what's kept off the books reflects labeling choices by successive Congresses designed to make the official debt as small as possible because, guess what, people like Krugman are writing about the official debt, but not the unofficial debt. Economists have been discussing this labeling problem and have been producing meaningful fiscal gap measures, that are label-invariant, for 40 years. I wrote a column called Deficit Delusion on this in the Public Interest back in 1984 and one in Science back in 1988. My most recent column is posted on the PBS Newshour site. Yet Krugman says in his most recent column that "I have yet to see any coherent explanation of why these longer-run concerns should determine budget policy right now." The coherent explanation is given by economic theory, which makes crystal clear that the choice of fiscal labels is economically arbitrary and that, as a consequence, the projected path of the government's short and long-term cash flows is arbitrary, and that, as consequence, economic theory does not distinguish short-run vs. long-run budget policy. What economic theory tells us is to look at the entire projected path of policy, measure its fiscal gap, and decide on the basis of the size of its fiscal gap whether the policy is sustainable. The equations of our economic models don't define the debt. It's that simple. Nor do the equations in physics define time or distance. In physics, how you measure time and distance is a matter of your frame of reference, which can be viewed as a language or labeling convention. When I was asked in 1988 by Science to write about economics fiscal relativity problem I was struck that the hard scientists could get this point so quickly and that so many economists could not. But, then again, economists are the tailors of this emperor's new clothes and have a very strong incentive to keep discussing fiscal policy using meaningless measures. Krugman is the chief tailor in this regard. The U.S. fiscal gap of $222 trillion is enormous and totally unsustainable. But rather than discuss the fiscal gap, Krugman discusses the official debt which is one-twentieth as large and, as indicated, a measure of the government's words, not its policies. Of course, once you have the emperor convinced that his new clothes are for real, you can take full advantage of his ignorance. Krugman is doing this with his readers. He's taking advantage of their ignorance by showing that a non-measure of government sustainability, intentionally designed to be as small as possible, is not of major concern. And in claiming that the long-run is distinct in terms of policy from the short run and can be ignored until we reach it, he's persuading his readers that they needn't worry about the fiscal Sword of Damocles suspending over our children's heads. This is fiscal child abuse pure and simple, and Krugman should be ashamed of his contribution to it. There is not a single dynamic model of the economy's dynamic transition being published in leading economics journals that doesn't include the constraint that the fiscal gap be zero. But Krugman simply discards what we academic economists call the government's intertemporal budget constraint. Let's be clear. Generationally speaking, paying for the government's spending is a zero sum game. Eliminating the fiscal gap -- satisfying the government's intertemporal budget constraint -- requires either a) an immediate and permanent 64 percent hike in all federal taxes or b) an immediate and permanent 35 percent cut in all projected government outlays including those called "interest and principal." If we wait a decade to take our medicine, these figures become 70 percent and 38 percent respectively. And, guess what? In that case, our children will face even higher taxes or lower spending over their precious lives. These aren't my estimates of the fiscal gap or what's needed to close it. They are my calculations based on the Congressional Budget Office's long-term fiscal forecast called the Alternative Fiscal Scenario. The CBO publishes this forecast in June each year. Last June the fiscal gap was $222 trillion. In June 2011 it was $211 trillion. It rose by $11 trillion between 2011 and 2012, which is the same amount as the entire stock of federal debt! The reason, in large part, is that baby boomers got one year closer to cashing in on all those Social Security, Medicare, and Medicaid payments which they are owed, but which have conveniently been ignored in tallying up federal debt. Krugman dismisses the terrible zero sum generational game we are playing with our kids. He sees our economy operating at less than full employment and says that if the government spends more on what it labels as purchases or transfer payments the economy will be stimulated, everyone will be hired, and the extra spending covered by the associated extra revenues. This is the second fable -- demand-side voodoo economics -- that more spending will beget more taxes. But it's also the first fable -- supply-side voodoo economics -- that less taxes will beget more taxes. The reason is that cutting someone's taxes is, apart from words, no different that increasing their transfer payments so since Krugman believes that more transfer payments will pay for themselves, he must, perforce, believe tax cuts pay for themselves. Believing that we can get something for nothing -- that we can, in effect, produce mana from heaven by being more fiscally profligate -- is believing in magic. This is why President Bush, the senior, properly called such fantasies, when they were being espoused by Ronald Reagan, "voodoo economics." And when George Bush, the junior, cut taxes, Krugman routinely skewered him for doing precisely what Krugman is now advocating -- praying for mana. But let's assume Krugman has it right and that gambling yet further with our children's economic future will restore the economy to full employment. How much of the fiscal gap will go away? Precious little. Given the recent tax hike and sequester cuts, my guess is that this June's Alternative Fiscal Projection will look better, that the fiscal gap will fall to $200 trillion, and that we'll be short, on an ongoing basis, not 12 percent of GDP, but 11 percent of GDP. The CBO projection has the economy returning to full employment (defined as 5.5 percent) in 2017. If we could miraculously and immediately get back to full employment at no net budgetary cost via spending that pays for itself that would mean, at most, 5 percent more GDP for 4 years relative to what the CBO projects will arise. In terms of lowering the fiscal gap, this would contribute perhaps 2 percent in net revenue for four years against the 11 percent in additional net revenue needed in those years. But, and this is key, it would do nothing to come up with the 11 percent of GDP in net revenue needed for every year in the country's future beyond 2017. The point is that we'd still have an absolutely enormous fiscal gap to deal with even if more voodoo finance pays for itself and immediately gets the economy back to its potential GDP. Earth to Paul Krugman. We've just spent four years experimenting with demand-side and supply-side economics. During this time, the fiscal gap rose by $42 trillion to its current value of $222 trillion. If the fiscal gap in June is $200 trillion, as I predict, its $22 trillion decline won't reflect the healing power of your crude Keynesian voodoo policy, but real tax hikes and spending cuts. So as a means of achieve fiscal solvency, neither Keynesian demand management nor Reagan supply management is working. Yet Krugman and his partner in economic crime -- Larry Summers -- would say more voodoo medicine is needed. But we gave the patient a very big dose and he didn't respond. Meanwhile the underlying structural drivers of the long-term fiscal gap were ignored with all attention focused on the "short term." Again, every passing year brings us closer to all 78 million baby boomers receiving their benefits. These projected payments are like zero-coupon bonds. We're not feeling any cash-flow pain from them now, because Congress arranged the payment stream to delay when they come due. But they will come due shortly. Social Security, Medicare, and Medicaid expenditures are a 35 percent larger share of GDP today than in 2000. President Obama was able to stabilize this growth in his first term, but he didn't reverse it. Meanwhile, the way his healthcare reform was implemented could lead to explosive costs. There is a huge incentive under the Affordable Care Act for employers to shut down their health insurance plans, pay the relatively small penalty, and ship their workers over to the new health exchanges where the vast majority will get very large subsidies. This was one of the few things that Mitt Romney actually got right. But the Congressional Budget Office doesn't have this baked into their projections as far as I know. The last fable -- fable three -- is that we can pay off our debts, no matter their labeling, simply by printing money. There is, today, a band of very prominent pundits and policymakers, I'll call them the Money Printers, who think the U.S., the UK, the Eurozone, and Japan can safely print tons and tons of money, pay their bills with this paper, and never have to worry about inflation. The ranks of the Money Printers include not just Krugman, but also Fed Chairman Ben Bernanke, FT columnist, Martin Wolf, Adair Turner, head of the UK's Financial Services Authority, the new Prime Minister of Japan, Shinzo Abe, IMF chief Christine LaGuarde, and the list goes on. But we've seen this movie for five years now, and it's a horror show. Since 2007, the developed world's central banks have roughly tripled the basic amount of money, called the monetary base, that existed in 2007. This has laid the groundwork for a tripling of the price level, i.e., for hyperinflation. Yet the printing presses continue to run at full tilt every second of every minute of every day. Here, again, we have reckless endangerment of our children with no accounting of the generational risks being imposed. In the last century, 20 countries ended up with hyperinflations by using the printing press to avoid taking fiscal responsibility. Now we have virtually the entire developed world printing money out the wazoo. Krugman's response is, "Where is the inflation? Where are the high interest rates?" My answer is give it time. The long history of fiscal and financial crises is that they happen abruptly, at a moment that seems not to matter, but in retrospect it was easy to see that the crisis would eventually materialize. The belief in and practice of voodoo economics, extraordinary reliance on the printing press, and the intentional use of deceptive measures of our nation's fiscal obligations is, at its root, childish, selfish, and self-serving behavior by people who don't deserve the title of "adult."